Since the 2014 Energy Science & Technology Conference, thousands of people have been studying the presentations released and some are even applying the information with real experiments. 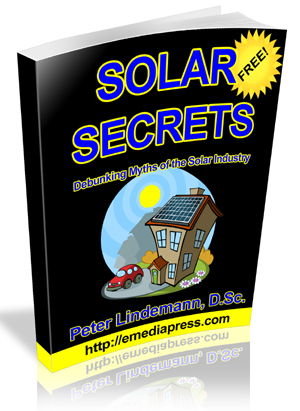 Ignition Secrets was so popular because it gives simple step by step instructions on how to build a plasma ignition system. 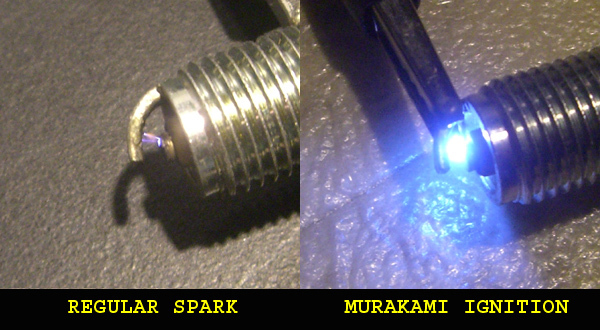 What makes the Murakami Plasma Ignition so unique is that it allows anyone to use just about any off the shelf CDI (capacitive discharge ignition) or MSD (multiple spark discharge) unit and with simple modifications, turn it into a full blown plasma ignition system. Take note that the energy required to produce the spark in the left side photo is the SAME energy required to produce the plasma impulse on the right. Many experts in both conventional and unconventional ignition systems have openly claimed that this modification cannot be done to these off the shelf ignition modules because a switch inside of them chops the capacitor off and on too fast, but once again, we’d like to show you that what the “experts” else says is impossible, we are able to actually demonstrate. Watch this video of my car with an off the shelf performance ignition coil from MSD and a MSD DIS-2 capacitor discharge module for wasted spark ignition systems first produce the normally expected discharge at the spark plug and then watch as it produces the plasma impulse. That causes the capacitor to discharge at an accelerated rate at a negative resistance thereby giving an impulse of all that energy into a smaller unit of time, much smaller than is normally supposed to be possible, which massively amplifies the power right at the spark plug. That module and ignition coil are only for 4 cylinder wasted spark ignition systems, but MSD makes them for all kinds of engines and those that you see in the video are not even intended for Subaru engines but it works anyway.